The early design is unreasonable, and it is often difficult to rectify in the later stage, which will also bring inconvenience to future life. For example, the design of doors and windows has strict requirements in the specification, but in the process of inspection, it is found that the doors and windows of some real estates are not designed according to requirements, leaving problems for the later decoration or life. For example, the door opening of a new house is too narrow and only 76 cm wide, which does not meet the requirements of the Residential Design Code for a minimum door width of 90 cm. When accepting the house, take a tape measure and measure the door hole and window size at any time. If there is any problem with the design, you should promptly find the developer to take remedial measures. Another outstanding design flaw is that there is no drain at the bottom of the door and window. This problem has appeared in many real estates. If it is not discovered and rectified in time, rainy days will seep into the bottom frame of the door and window, and it will not be discharged in time, forming water and corrosion door and window frames, shortening the service life of doors and windows. Some parts of doors and windows have special construction requirements and must be in place according to the regulations. For example, on the outer edge of the window, a drip line is required to prevent rainwater from flowing into the window sill or indoor wall. However, during the inspection process, many real estates were found to have caused water seepage into the room because the window did not follow the requirements of the drip line. If it is not rectified in time, in the future, when it rains, the rain will follow the window along the window. It will be inevitable that the wall will be wet and moldy and long hair. According to the "Code for the Acceptance of Quality of Building Decoration Engineering", the gap between the metal door and window frame and the wall should be filled and sealed with a sealant. However, the inspectors found that many of the doors and windows of the real estate were leaking sealant or the sealant was incomplete. This not only affects the airtightness of the doors and windows, but also rainy days, it is easy for the rain to seep into the interior of the interior decoration, destroying the interior decoration. Such problems are often overlooked when the house is closed. After the renovation, it is found that the trouble is big, and the developer must be required to refill the sealant. Fifth, the safety glass is not installed in the lower frame of the window sash. For safety reasons, there are also hard rules for the installation of window glass. According to the “Safety Management Regulations for Buildings”, safety glass must be used for glass with a bottom edge of less than 50 cm from the final finish. Nowadays, many units are designed with bay windows, but it is difficult to find the 3C logo when fixing the fan glass under the bay window. It is not a safety glass, and there are safety hazards. 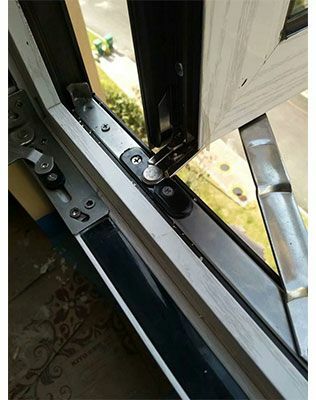 The problem of door and window deformation is more common in the inspection room. If the window frame is bumped, the door frame is damaged, and the door leaf is scratched, etc., these are all sloppy in the installation process, or the installation is not paying attention to the finished product protection. These problems can affect the appearance of light, but the doors and windows cannot be closed, which has potential safety hazards.